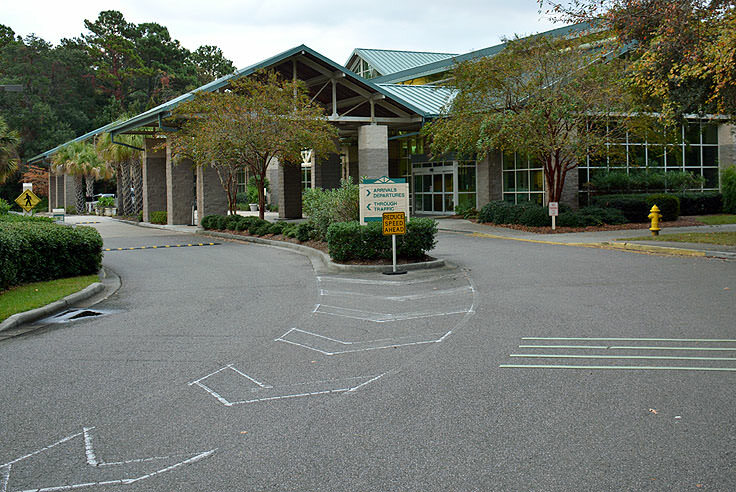 The Hilton Head Airport, conveniently located just off the main William Hilton Parkway, allows visitors to forego the long airport lines, distant parking, and traffic jams, and jump right into a leisurely, relaxing vacation. 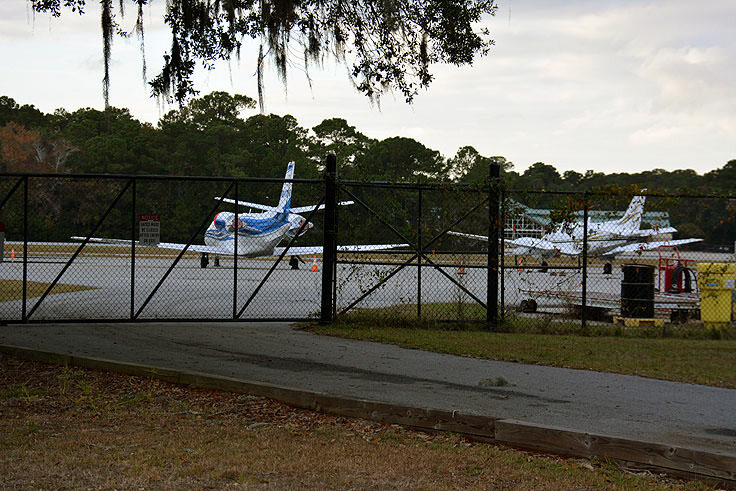 Currently serving private planes in addition to a commercial airline, high flyers will feel right at home at this accommodating, and fantastically located, gateway to the Hilton Head beaches. Visitors will soon discover that Hilton Head Airport is literally a 15 minute drive from any point on the island. Located in the northwest corner of the island, directly off of Beach City Road the airport is fantastically close to world-renowned beaches, resorts, vacation home communities, restaurants, great shopping, and even golf courses. The airport was constructed as the town of Hilton Head was first earning a national and even international reputation as one of the best golfing destinations along the East Coast. Hilton Head Island's notoriety particularly blossomed in the 1960s, and an effort was led by famed golfer Arnold Palmer himself to build an airport that would help increase the number of visitors to the island, (and make it an easy trip for pilots like himself.) The airport opened in 1967, and Arnold Palmer ended up being the first person to land at the new airport, now known by its three letter designation, HHH. In 1995, the airport added a centralized full-service terminal with walls of windows that perfectly display the naturally lush landscape. The 18,000' square foot structure features four terminals and easy parking right outside the doors, making any flight on or off a remarkably easy and laid-back venture. 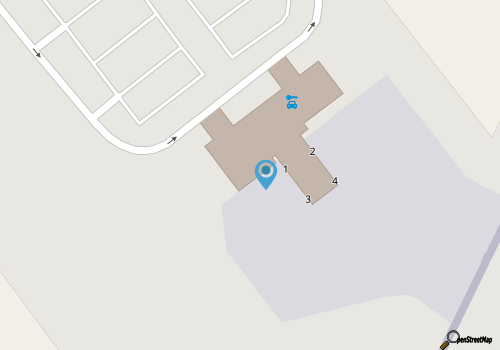 The airport itself encompasses 131 acres and is located approximately 19' feet above sea level. There's just one airstrip at the airport, with an asphalt surface, that is 4,300' feet long. Despite the small size, the airport nevertheless averages an estimated 90 aircraft operations per day, for a total of more than 33,000 aircraft operation every year. Private planes may be the main mode of transportation to and from the island, but the airport also offers scheduled passenger service as well via commercial flights. US Airways Express has routes to and from the Hilton Head Airport on a regular basis, in fact, which connect with their Charlotte hub, and seasonally, their Washington-National hub. Unlike any major airport along the East Coast, passengers will find it's a breeze to hop of the airplane, stroll through the terminal, and start their vacation, (and be at their island destination to boot), within minutes. There's also a national car rental business nearby, in addition to a handful of restaurants and grocery stores just a few minutes' drive away. 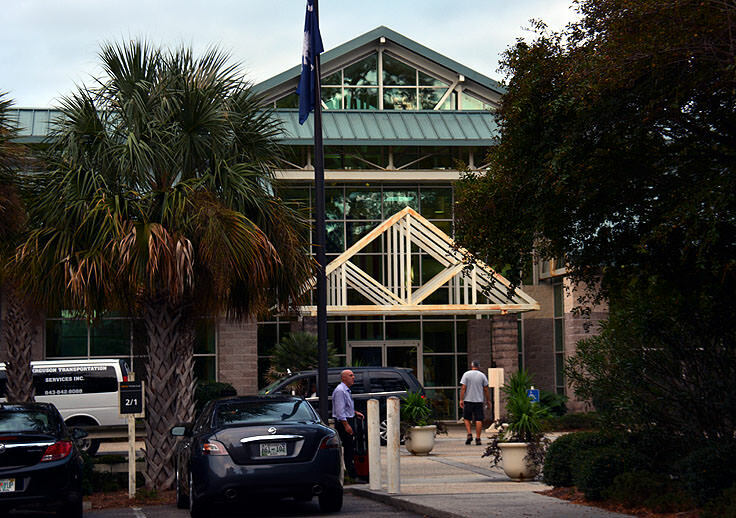 Essentially, the term "convenience" takes on a whole new meaning at the Hilton Head Airport, both for its location, and its small size which allows travelers to hop out of their plane and begin, almost instantly, their island vacation. Accommodating for pilots and passengers alike, newcomers will quickly discover that there's a lot to appreciate about the small yet elite airport that never has long lines or miles of cars blocking the wooded, green views. Instead, jet-setters of all varieties can simply step out of the modest but impressive terminal of the Hilton Head Airport, enjoy a big breath of fresh air, and get started on their coastal South Carolina vacation.